Vacuum thin-film industry has been looking for a pump that is clean (oil free), long lasting and universally applicable to all processes such as Etch, CVD and PVD. Dry Screw Pump is invented to do just that. Dry Screw Pump consists of precision-grind and matching pair of screws that makes no contact (no wear). The pump is suitable for clean as well as harsh and corrosive environment. It uses no oil and has the shortest gas discharge path which makes this pump more efficient than any other style dry pump available on the market. 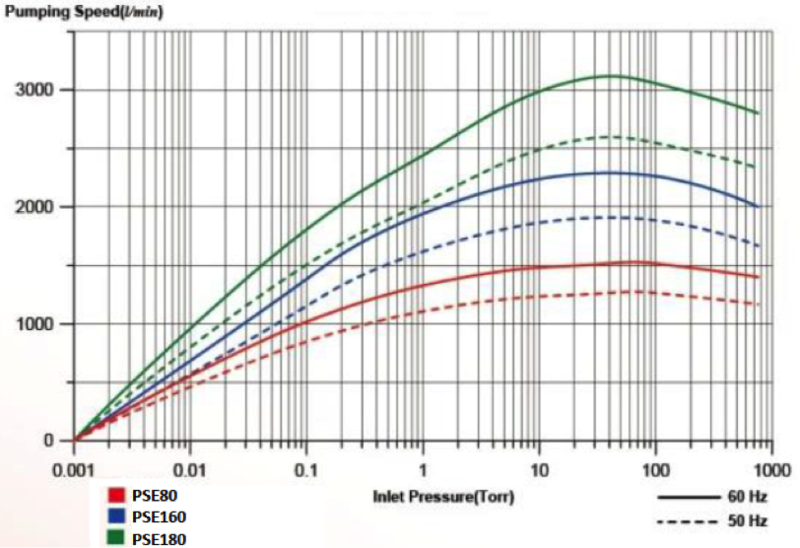 Unlike Scroll pump which deteriorates with usage from day one, dry screw pump maintains vacuum integrity year after year without requiring service. Cost of ownership is lower than Scroll Pump. More than 30,000 screw rotors are produced each year. 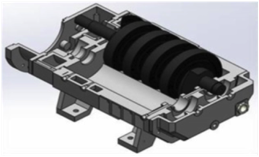 VPC pump is built with superior technology to achieve excellent vacuum performance and low running costs. The highly intelligent dry pump is ideal for replacing wet pumps as well as Scroll Pumps. Short Gas Path and Reduce the Contamination of Process Gas: Comparing to other type of dry vacuum pump, VPC screw vacuum pump has the shortest gas path in the industry; minimizing contamination such as condensing. Screw rotors can play as a powder transmission mechanism. It runs well even in the presence of contamination. Excellent Pump Performance Due to the Excellent Rotor Profile Sealing Effects: Patented rotor profile can provide rotor excellent sealing effects thus a larger clearance is allowable in between. 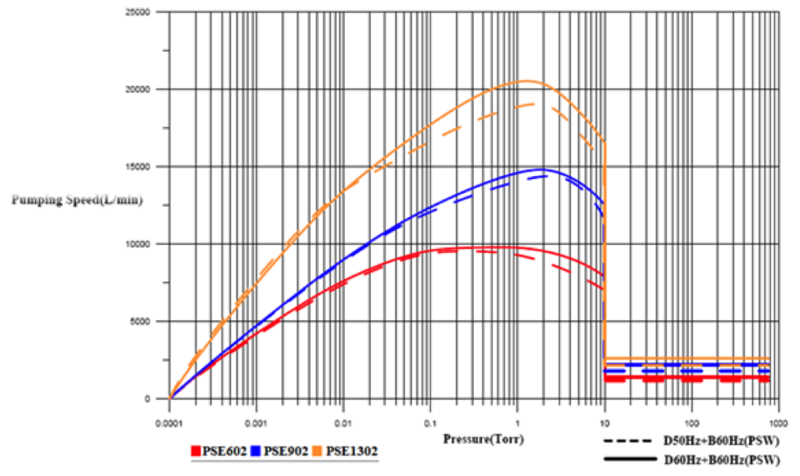 Pump rotor wearing and rotor jam by the process contamination can be reduced by larger allowable clearance. Simple Structure Reduce the Chance of Unexpected Pump Stop and Easy for Overhaul Process: Screw type vacuum is composed by a pair of screw rotors and no isolation plates are required in different stages of pumping chamber. 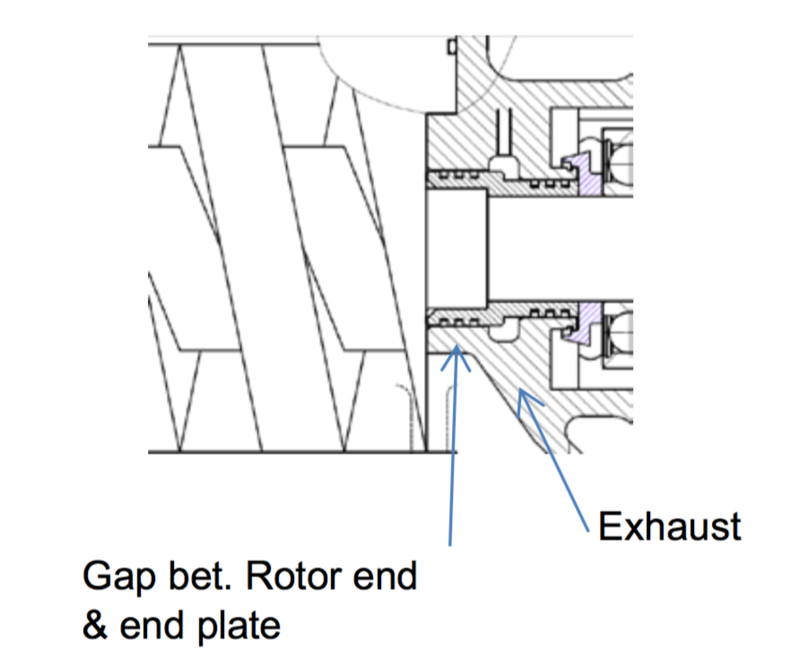 Process contamination between rotors and isolation plates can also be avoided. Overhaul VPC dry pump is much easier than other type of dry pump. The repair time is shorter and the cost is lower. Microprocessor Controller and Remote Control Software Can Protect Pump during abnormal situations: Microprocessor monitors running status at various pump parameters. Pump can be easily operated and monitored at the operation panel. Remote control software helps customer to monitor the pump’s running status remotely. Environment friendly, low operating costs – no production of contaminated waste oil, no waste disposal cost. 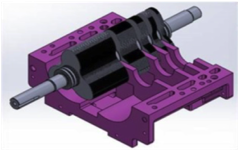 Minimum downtimes, maximum availability and maximum ruggedness through an application optimized design. 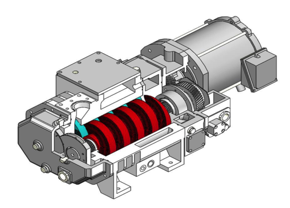 Reduced process time in batch operation or short cycles - high effective pumping speed. Cost optimized product - modular accessories meeting the demands of challenging process requirements. Extended maintenance intervals, low servicing complexity. Maintenance friendly, quick and easy accessibility to all servicing points. Heat exchanger is available (optional) as build-in and integral part of system at minimal added cost. Explosion-proof series is available upon request (for Pharmaceutical & chemical application) Larger pump (model 602, 902) is equipped with booster pump to reduce pump time. See specification for detail. Inverter: 1: Booster with Inerter. 2: Booster and Screw pump with Inverters. Ex: PSE602-GD1: 602 Model contains Casing Air-Cooled Kit, Controller, Defric Coating and Inverter. 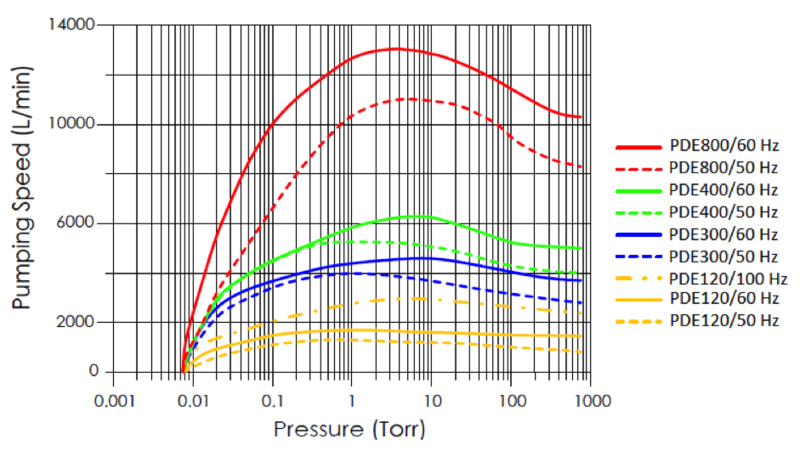 PS series pump down to an ultimate vacuum of 7.5 x 10-4 Torr. PS is robust and designed to work under harsh environment. The cost of ownership is lowest among competing technologies. You get all the reliability and performance for the processes. 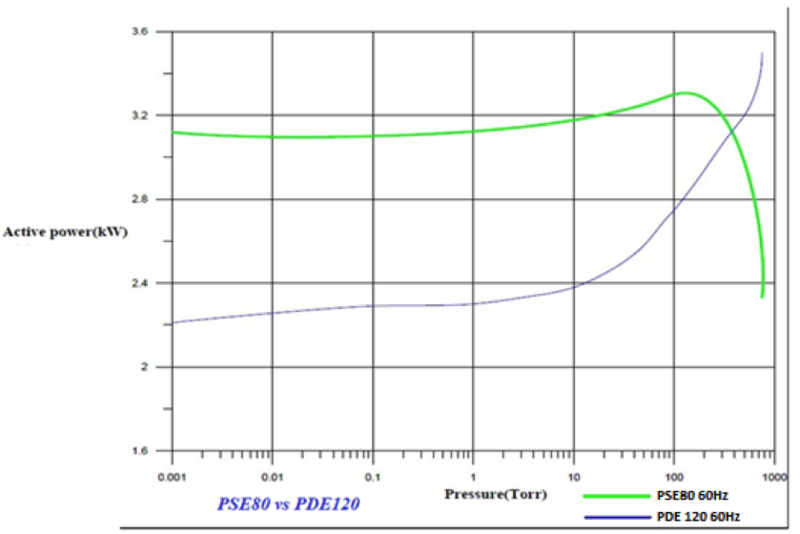 PDE series sets new benchmark in high-energy efficiency. It is environmentally friendly, and with low power consumption. 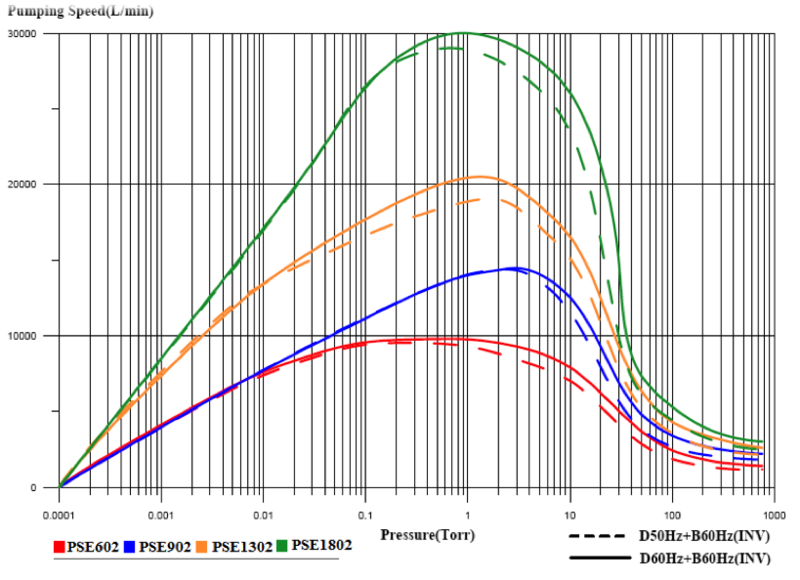 PDE series give you all the reliability and performance you want with less utilities cost. Connection RC 3/8" RC 1/2"
Connection Swagelok 1/4" Swagelog 3/8"